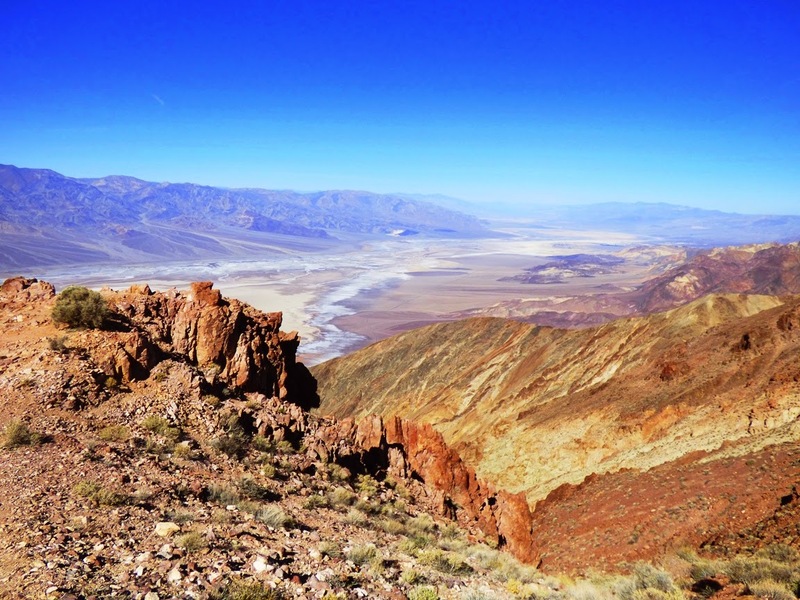 The bottom of Death Valley is the driest place in North America, and the hottest place in the world. 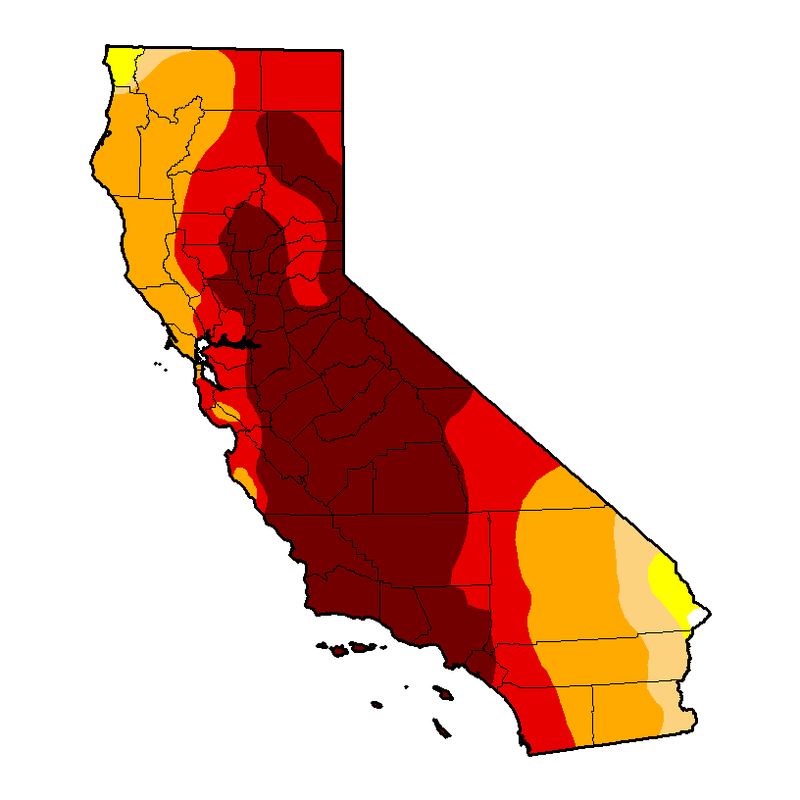 It might stand to reason that it is a place that withstands the effects of California's horrific four-year drought, which is true, but it's not necessary this year. Death Valley is one of the few parts of the state that is running close to normal in the precipitation department. 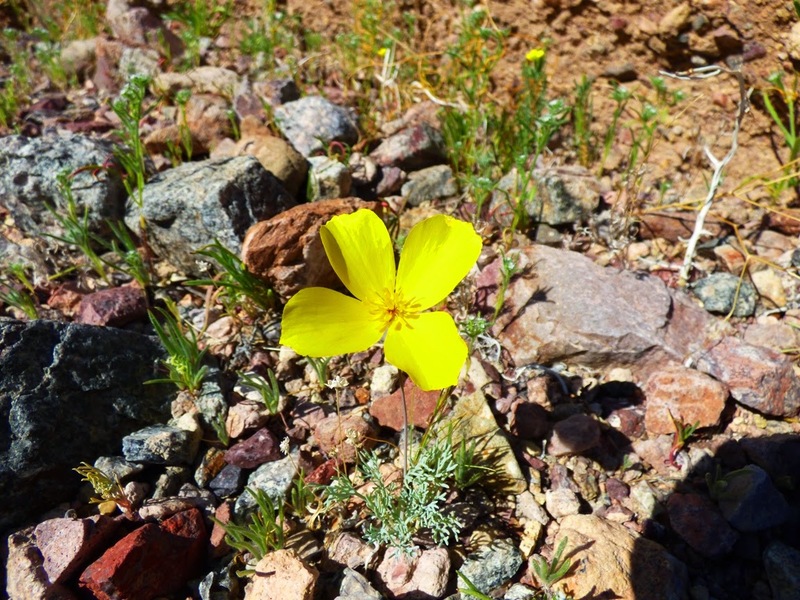 In fact, based on what we saw on our trip to Death Valley last week, this may be a very good year for wildflowers. There were some good storms in December that dropped around an inch of rain in the region, and a later storm dropped another half inch, giving a jump start to seedlings that were starting to grow. 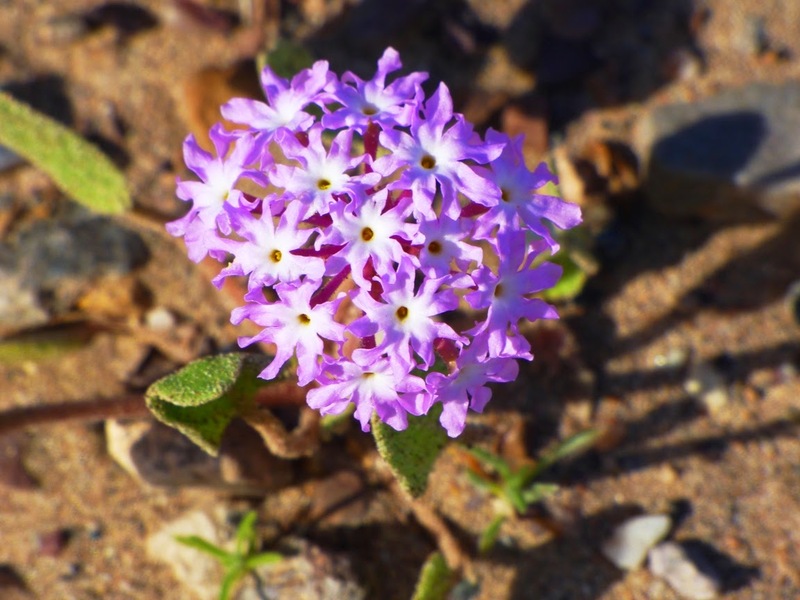 An inch and a half constitutes a near-normal rain year in Death Valley! There were green shoots covering many of the slopes in the Mojave Desert and Death Valley when we visited on the 13th through the 16th. 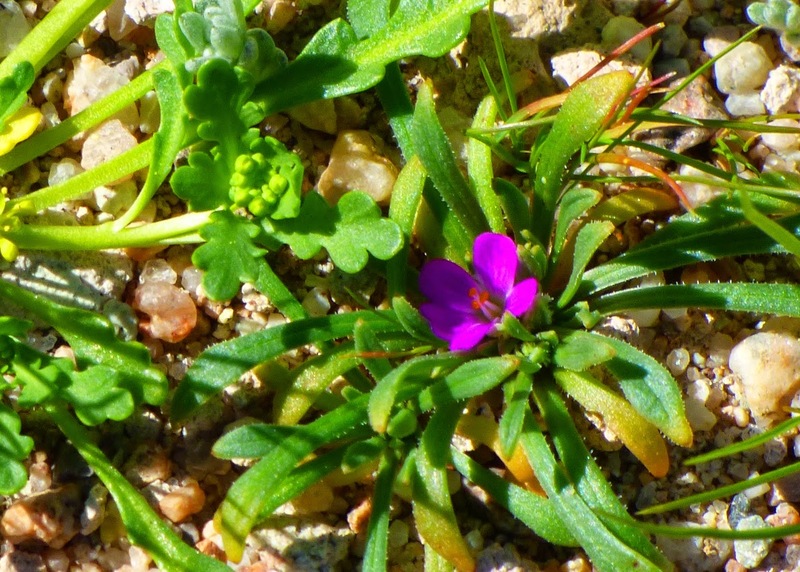 Only a few of the flowers had bloomed, but another week or two and the desert should be coming alive with color. It's fairly rare for us to see a true flower show on our mid-February trips, but conditions were extraordinary in 1997 and 2005, and I will never forget the color explosion we saw at those times. 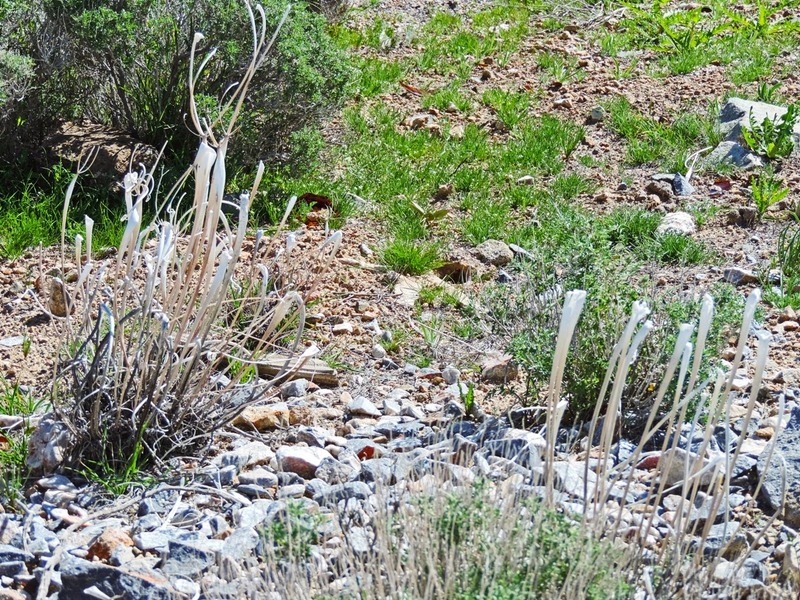 But enough flowers were present to keep things interesting for us when we weren't observing the rocks. I am not at all good at flower identification, so I expect my good friend Jon Mark Stewart will quickly correct my mistakes. 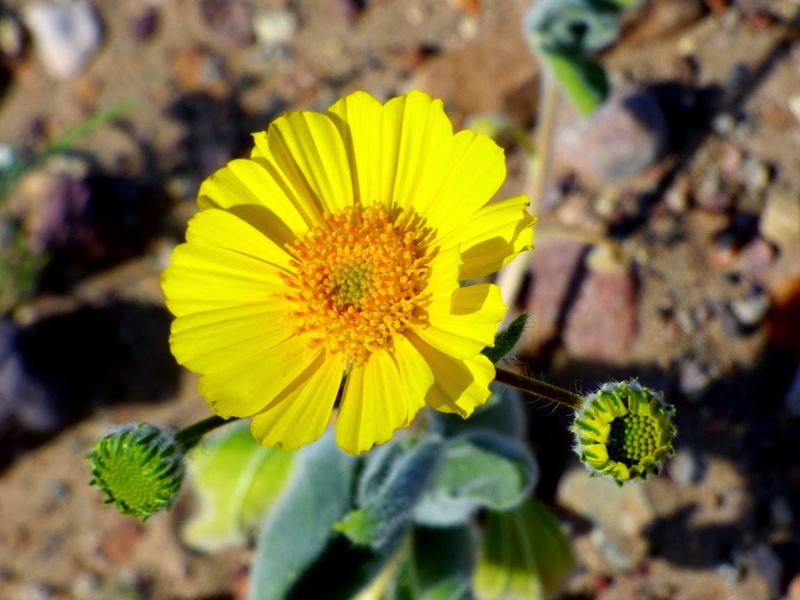 He is the author of Mojave Desert Wildflowers and Colorado Desert Wildflowers, two indispensable guides for desert travelers and flower lovers. 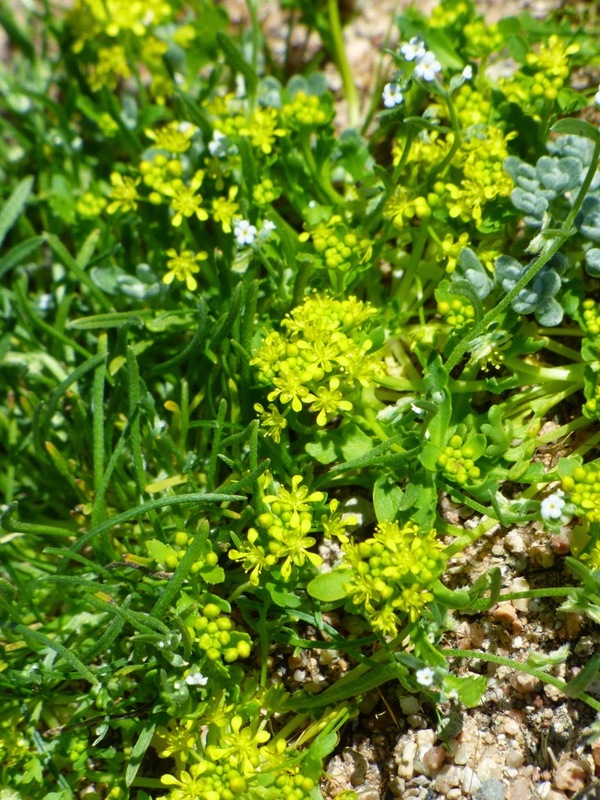 We saw a fair number of flowers at Red Rock Canyon State Park in the Mojave Desert, including the Popcorn Flower and Yellow Peppergrass (above). Red Rock is one of California's gems, familiar to many because of its use as a movie set for all manner of westerns, and at least one "recent" movie: Jurassic Park. 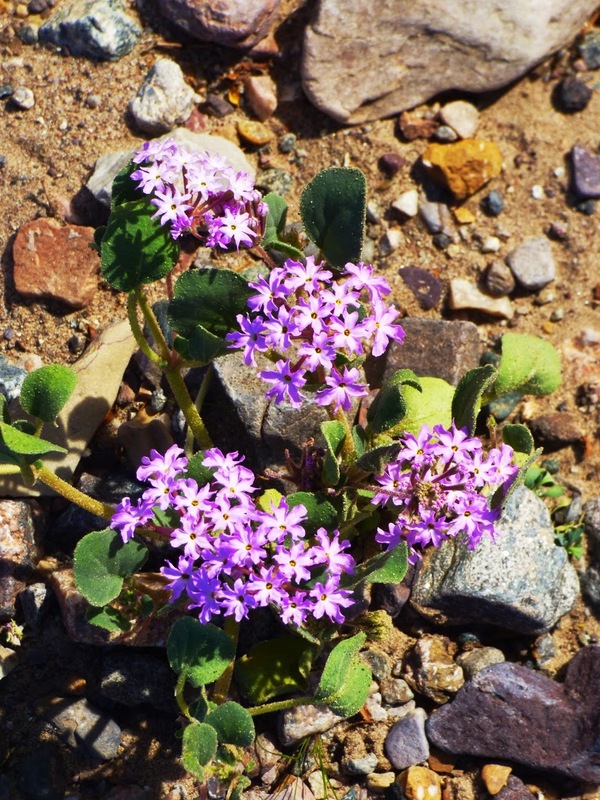 One of the best early season flower sites in Death Valley is the alluvial fan that extends down to the valley from Jubilee Pass at the south end of the valley. Although the road is paved (it travels from the village of Shoshone to Badwater and on to Furnace Creek), it is far less used by tourists and is usually quiet. We make several important geological stops along this stretch, including a traverse of some of the formations of the Late Proterozoic Pahrump Group. The rocks are around a billion years old, and record the continental divergence that eventually produced the Pacific Ocean. 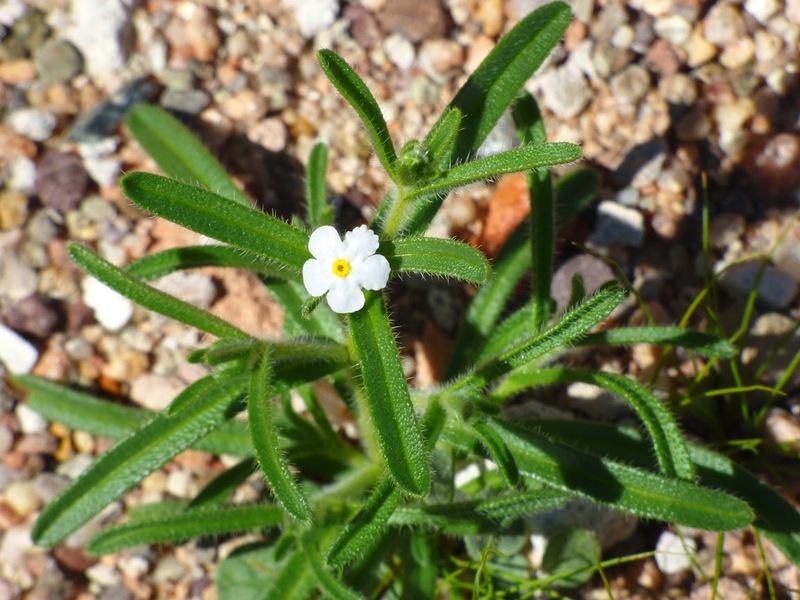 The Sand Verbena and poppies were in evidence, as well as the first outliers of the Desert Sunflower aka Desert Gold. This is a site where we have seen incredible flower displays. I would dearly love to reach Death Valley in another week or two. Darn work and all that! The picture below was most certainly not what we saw last week. It dates from 2005 when prodigious amounts of rain (and snow!) fell in the Death Valley region, including a lot that fell on us during our trip. Even at this, the season was early and more flowers bloomed in later weeks. It was quite a year.